Since antiquity, artists have not only used walls as a picture carrier, but also opened spaces with painting: architectures have been developed further, landscapes have been created, and fantastic spheres have been brought into the everyday world. Christine Rusche consciously refers to her work as „space drawings“, since she is concerned with the creation of temporary places. 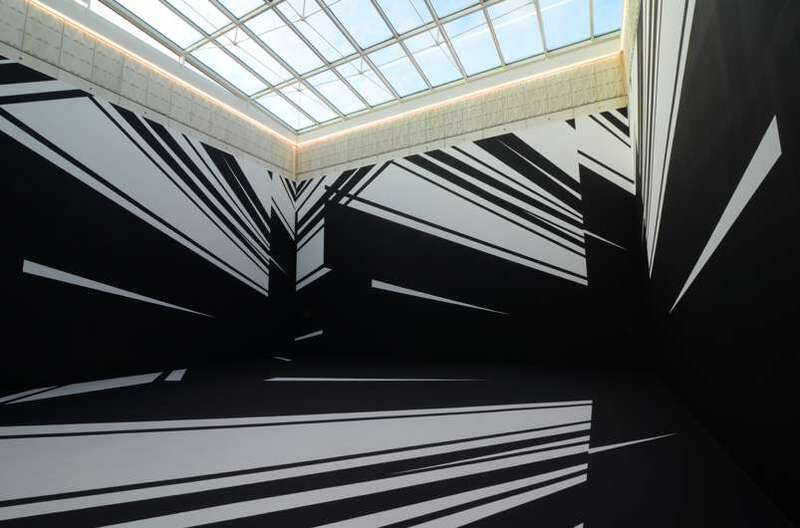 In their site-specific spatial drawings, two spatial constructions overlap: there is the real, the architectural space, and the drawn, the imaginary space, which exists only on the surface of the real space, but is nevertheless so present that the space-closing function of the walls seem to dissolve. Für die Kunsthalle Rostock wird Christine Rusche eine für den Lichthof entwickelte raumgreifende Malerei realisieren, die sich über Wände und Boden erstreckt.